Mr. Terry Alex Graham of Rose Hill passed away Saturday, September 1, 2018. His death occurred the day after his 70th birthday. Funeral services will be 2 p.m., Tuesday, September 4, 2018, at Good News Chapel. Rev. Jay Driver and Youth Minister Wesley Jeffcoat will officiate. Interment will follow in the Good News Chapel Cemetery with military honors by the U.S. Army. Keahey Funeral Home of Andalusia is entrusted with arrangements. Serving as pallbearers will be Clint Thompkins, Terry Stephens, Keith Stephens, Terry Craig, Daniel Campbell and Bill Frank Graham. vThe family will receive friends at Good News Chapel one hour prior to services on Tuesday. 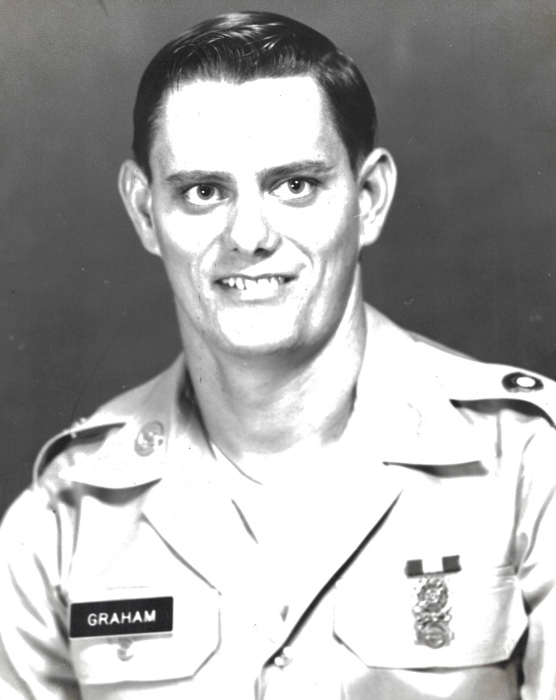 Mr. Graham was preceded in death by his parents, Malcolm Pinkney Graham and Eloise Darlene Robbins; a sister, Sandra Regail and a son, Terry Dwayne Graham in 1978. He was a member of Good News Chapel and was active until his health declined. When his health was good, he loved to hunt, fish, ride horses and doing most anything that involved being outdoors. He served in the U.S. Army and was stationed at the Panama Canal region. His military position was a Microwave Tower Specialist for Military Intelligence. Survivors include his loving wife of 37 years, Pat Graham of Rose Hill; son and daughter-in-law, Brian Wesley and Nickie Graham of Rose Hill; daughter, Brandie Dawn Graham of Florala; two grandchildren, Linzy Brianna Graham and Levi Alex Graham; brother and sister-in-law, Larry and Ann Graham of Rose Hill; sisters and brother-in-law, Diane Ann and Wesley Thompkins of Andalusia; nephew, Clint Thompkins of Andalusia.